Dog access when bushwalking in Darling Range near Perth, W.A. Dogs are not allowed in most of the walk areas, with the exception of Bold Park (Perth), Mundy Regional Park (Whistlepipe Gully – Lesmurdie Falls Walk), Lane Poole Reserve (Dwellingup), and Bungendore Park (Armadale), where dogs must be on the leash. Dogs are allowed in Whiteman Park. There are also many off-lead dog exercise areas closer to Perth. 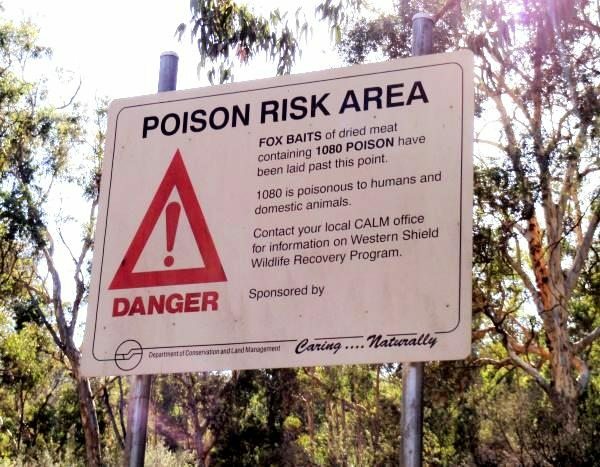 Dog owners need to be aware that the ‘1080’ poison baits widely used in southwest forests to control foxes are also lethal to dogs.